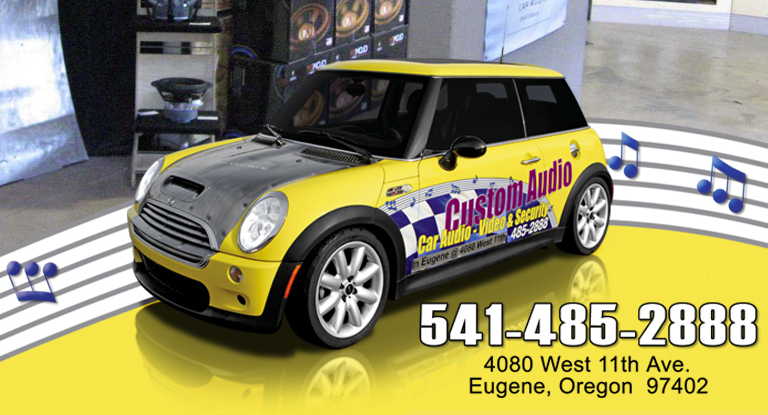 Here at Custom Audio we can instal advanced multimedia entertainment with expanded connectivity into your vehicles! In this day and age, our lives are more often than not, filled with jam packed schedules. We count on our vehicles to get us where we need to go. Kenwood’s multimedia products keep you connected when your on the go, making your day less stressful and more organized. GPS systems and Bluetooth connectivity have become more important and useful than ever. Our helpful staff at Custom Audio will take the time to show you Kenwood’s newest, affordable and most innovative systems yet! The system we decided to feature this week is Kenwood’s DNN770HD 2-DIN Connected Navigation System With Built-in Wifi and Bluetooth! This entertainment receiver keeps you connected to your world! The entertainment, travel and social media tools are easily accessed via the receiver when connected to the internet through a hotspot or hotspot enabled smartphone. The Garmin navigation system, the world’s leading GPS navigation system, has preloaded NAVTEQ map data of the US, Canada, Mexico, Hawaii and more. You have your choice of different map views, including a split-screen AV control. The Garmin also includes great features such as a Smart POI search and predicitive text for faster searches and menu shortcuts and Exit Services that provide info on upcoming services at approaching exits! This product also has connected INRIX services such as INRIX Traffic, Fuel Prices, PhotoLive, Dynamic parking and Movie Times! This allows you to stay connected with real time information. For travelers, both business and pleasure, you can record your daily travel activities though the Route Collector feature! This is great for sharing your trips on social media networks as well as logging miles for work related purposes. The system’s built-in Bluetooth wireless technology provides you with safe, hands free conversations during your drive. You don’t have to worry about missing that important phone call! Incoming calls can be set to pick up automatically or with a touch of a button if you want to screen them. For outgoing calls, it’s never been easier! The easy to read interface will display your contact list or you can set up a voice activation enabled by your compatible smartphone. Now you can get your favorite social networking tools at the tips of your fingers (or should we say at the command of your voice in their text-to-speech and speech to text features). This will keep you safely connected without slowing you down! Their fun layout allows easy access to Weather, your Facebook, Twitter, Gmail accounts, Google Calendar and RSS Feeds!